In the Middle Ages, one important tool to explain past and predict future world events was astrology. In my paper, I am going to analyse how two late medieval scholars, Roger Bacon and Pierre d’Ailly, interpreted, adapted, and employed the so-called ‘theory of the great conjunctions’. This theory, famously advocated by the Persian astrologer Abū Macshar, was based on the idea that specific recurring planetary constellations influenced major developments on earth such as the emergence or the demise of religions. The focus of my paper is how Bacon and d’Ailly placed this Islamic theory into a Christian framework and used it to explain the existence of different religions by evaluating them ‘scientifically’, i.e. astrologically. An analysis of their texts throws light on various aspects of medieval thinking and understanding of time by asking questions about the predictability of religions, their definitions and assigned time frames, the practical consequences that could be drawn from that and the role of God in the narration of religious world history. Among the scholars’ assumed six major religions was the religion of the Antichrist, signifying the end of all religions or rather the final victory of Christianity. Their texts are therefore also interesting sources in regard to circulating prophetic-apocalyptic notions. In sum, Bacon and d’Ailly show how late medieval scholars tried to make sense of major religious world developments. The problematic relation between theology and astrology makes their historical-astrological classification of religions a rewarding and fascinating field of research. Yggdrasill, the great ash tree of Norse mythology, has often been read as the central, physical point around which the Norse cosmos turns; this is perhaps especially the case in Vǫluspá, the opening poem of the Poetic Edda. Nonetheless, it is crucial in any reading of Vǫluspá to pay close attention to the seemingly scant evidence in order to ascertain what this mythological information might actually say about conceptualisations of space and time in Norse myth. Moreover, while Yggdrasill has long been identified as the seemingly immortal centre-point in the structure of the cosmos, to what extent is the tree, as an organic entity, itself subject to a natural life cycle? Just as Aristotle suggested in his Metaphysics that the telos of an acorn is to grow into an oak tree, so too might we discern that it is in the very being of Yggdrasill to live out a natural, organic lifespan. Yet far from simply being a static, real-world tree, Yggdrasill, in its capacity as miǫtviðr mærr, ‘mighty measuring-tree’, ultimately both controls and is controlled by the passing of time in the universe. This paper shall explore the significance of the world-tree Yggdrasill as ‘mighty measuring tree’, from the creation of the world in the opening stanzas of Vǫluspá, through the events of the mythological present, to ragnarǫk as the poem draws to its cataclysmic close. It shall also demonstrate how spatial conceptualisations relate to figurations of time, both linear and cyclical, within Norse cosmography. "The cathedral at Ardmore, Co. Waterford is one of the best known twelfth-century Romanesque churches in Ireland, whose external west wall preserves the most extensive collection of architectural sculpture to survive anywhere in Ireland from the period. There has been much comment on the archaeological and architectural context of the reliefs, and especially their place within the building’s phases of construction, in particular by J.T. Smith (1972), S.L. McNab (1987), Peter Harbison (1995) and Tadhg O’Keeffe (2003). Interpretative work remains to be done however into how the pieces’ incorporation within the scheme of the cathedral negotiates understandings of salvation history, demarcates sacred time and space, and reflects the themes of penance and redemption in an allegorical, ritual and eschatological sense. Taking Ardmore cathedral as a case study in the expression of sacred time and space in late Romanesque architecture, this paper examines the celebrated lunette reliefs of the western nave and their relationship with the portal entrances in the overall architectural plan. The use of these features within a scheme of symbolic architecture is considered through comparison with a number of textual and visual sources. It is argued that the scheme may best be understood as a soteriological allegory, applied to pilgrim, penitent and church alike." Normally solved as ‘the year’ or ‘Ursa Major,’ or variations on these, ‘Exeter Riddle 22’ combines apparent narrative simplicity (a group of riders cross a stretch of water using a wagon) with layers of contradiction and ambiguity to form one of the most ‘complete,’ and yet unresolved, engigmata of the Exeter Book collection. In this paper, I offer a new solution that combines aspects of the calendrical and the astronomical solutions: the moon and tides. By explaining the various instances of number in the riddle using connection between the hours of moonshine and monthly tidal peaks as described by Bede and others, I locate Riddle 22 within a subgenre of Old English and Latin riddles that find their inspiration in the medieval science of computus, or time-reckoning. Thus I frame this solution within a larger argument about the influence in medieval riddling of computus, a discipline which required a degree of joined-up thinking that lent itself naturally to the metaphorical leaps found in poetic riddling. In the last quarter of the 14th century, the earliest public clocks were installed in some of the most important Castilian cities, for example in Burgos, Seville, Toledo or Santiago de Compostela. During the first half of the 15th century public clocks spread across smaller cities and towns and by the 16th many small villages ordered their own one. At the earliest stage of clock history there are very few evidences of clock hours usage and maybe the most important reason for a city council to build a turret clock was not the need of an instrument for time telling, but for ornamenting the city. From the first quarter of the 15th century in some places and from later in others, clock hours began to be used next to old religious time signals. In this paper we will study the introduction of clock hours in some Castilian cities. We will attempt to explain who was interested in using clock hours, when and for what purposes. The coexistence of clock strokes with canonical hours and old bell signals will be studied. We will pay special attention to Palencia and Burgos, two important and nearby cities whose archives keep the minutes of their Councils meetings form the 15th century. This allows to compare how clock hours were introduced in both of them. :I will discuss narrative time in Beowulf in the light of recent research on the computus by Liuzza and others by analysing the paradoxical relationship between the flexible hours of tīd and the monastic hours of nōn (‘nones’) and ūhta (‘matins, dawn’). Critics have pointed out there is an opposition between mathematic and observational time-perceptions in Anglo-Saxon texts. They have interpreted it as an opposition between learned time-reckoning, represented by the Church computus, and experiential time, based on Germanic empirical observation. This question opens new avenues to Beowulf studies. It has been stated that time-perception in the poem presents a paradox between having small precise units of time and a vague sense of history. Based on a close reading of these small time-units, I will argue there is a liturgical backdrop to the text. Nōn can only be found in liturgical texts and ūhta occurs only once in non-religious poetry. Both nouns give a hagiographical resonance to the passages in which they are found. However, the usual Old English translation for hours in the computus, tīd, is attached to meaningful moments rather than hours of a fixed arithmetical duration. This supports the theory of Germanic experiential reckoning and implies an emotional reading of time. The delicate balance between the learned subtext and the Germanic sense of time shows computus studies are easily applicable to Beowulf and can provide new perspectives to classical problems such as the importance of learned sources for the interpretation of the poem. That “tyme” rhymes with “ryme” in the ending of The Book of the Duchess cannot simply be regarded as a verbal coincidence. It connotatively hints at how the narrative of consolation is shaped through the discourse of time. The Black Knight, who figures the loss of his beloved as the failure in the chess game with Fortuna, spares no effort to construct a metaphorical past to conceal, or even to supersede the bitter present which is dominated by the overreaching fact that Lady White “ys ded”. The experiential time of his interlocutor, the dreaming narrator, is thus suspended together with the knight in a confused dimension which seems to painfully repeat itself every second and is reluctant to gesture toward an unambiguous future. It is until the very moment when the question of “now” (1298) tersely presses for the full exposition of the Black Knight’s subtext that finally synchronizes the division between the narrative process and the experiential time. With the bell “smyten houres twelve”, the poem confronts its poetic grief under the courageous revelation of the traumatic present. The essay hopes to offer a discussion on how Chaucer craftily operates his poetic remedy through the latent discourse of time. In the light of further iconographic reference that the escapement mechanism which serves to regulate the movement of clock is allegorized as Temperantia in Middle Ages, such operation profoundly touches on the problematics that the consolation intrinsically tackles with: what kind of prudentia shall be conducted in the flow of time. In this way, The Book of the Duchess can be characterized as an attempt that struggles to achieve the equilibrium between obliteration and commemoration, the choices that we have in facing the time’s wingèd chariot. That a visionary travelling through the afterlife is situated in an eschatological time is a commonplace that does not need further explanation. Similarly, it is usually believed that this ‘end time’ is not only taking place at the actual end of time but often, so it seems, somehow running parallel to it. So far, research has focused on this connection mostly on a story level and regarded the influence on the audience mainly through symbolic linking. That the connection can be far more direct, however, has been under-represented in research so far. By looking at the fifteenth-century Revelation of Purgatory and considering medieval reading practices, I will argue that through the mere act of reading a vision (aloud) the eschatological time of purgatory or paradise is not only symbolically but, to some degree, literally brought into the present of the reader. Narrated time, often characterised by its extensions and contractions in narration, obtains performativity and is transformed into real time. Including and explicitly marking psalms, furthermore, achieve closer involvement as the readers are reminded of their liturgical experiences and intentionally led to perform them on their own, whether this means repeatedly muttering or even singing them. Thus, a few words can turn into an extended real time experience for the audience. By considering these temporal elements, it will become clear that the Revelation intentionally played with time to create a more direct immersion and, thereby, active transformation (i.e. spiritual cleansing) of the reader." Dante’s Commedia contributed greatly to the representation of the medieval Christian afterlife, not least its spatial and temporal aspects. The growing medieval belief that an individual judgement would occur immediately after death, as opposed to a single collective judgement at the end of time, was one of the factors that facilitated the establishment of Purgatory as a separate realm of the afterlife. At the moment of death the souls in Dante’s Purgatorio, the only realm in the Commedia subject to earthly time, are allocated a specific time and space in which to complete their purgation. Prayers offered by the living can shorten the souls’ purgation, not simply ending purgatorial punishment, but rather hastening the union of the soul with God in Paradise. The temporal nature of Dante’s Purgatory also transforms the way punishment is experienced in this middle realm, instilling purgatorial suffering with a clearly defined purpose that even allows it to be undertaken joyfully. By contrast, in previous representations of the afterlife the location and punishments of Purgatory were often indistinguishable from Hell. In Dante’s unique portrayal, Purgatory is thus a hopeful realm of transition that prepares souls to enter the divine presence. By associating Purgatory with the hope of Paradise rather than the fear of Hell Dante creates a temporal space that is entirely different from any preceding conceptualizations of the realm. This paper will therefore argue that Dante’s Purgatorio offers a radical reorientation of the realm of Purgatory, challenging and nuancing preexisting notions concerning both the geographical, theological and eternal nature of the Christian afterlife. The significance of the workshop is increased when considering the craftwork which happened inside. One activity almost certain to have taken place is reliquary-making. Drawing on work on the Anachronic in art by Christopher Wood and Alexander Nagel, religious reliquaries commemorated the past by providing their onlookers with a means to reach through human history. According to Theophilus, the art of reliquary-crafting itself was a means of reaching far back through history to the point of Creation. Thus, Theophilus’ workshop had the ability to reach both forwards and backwards in time. These findings shed light on artistic and cognitive efflorescence in Western Europe more widely during the twelfth century, in which the evocation of the past played a critical, but perhaps under-sung, role. The story of St. Erkenwald is by now well known to students of medieval poetic historiography; how, in the midst of Augustine of Canterbury’s consecration of pagan London, a mysterious and troubling tomb is discovered in the foundations of what is to become St. Paul’s, disrupting in the process both the straightforward ‘planty[ng]’ of the Christian faith and the social order which depends on it. The aim of this paper is to take seriously the very physicality of this tomb, a church in miniature, which resists attempts to be fixed within recorded history and collective memory. In the process, it will explore how the ‘Thing-ness’ of this object constitutes the centre of its historical riddle, and a threat to the narratives of cleansing, re-signification and appropriation upon which progressive historical teleologies rely. The medieval concept around which these problematics circulate is that of the idol. Using both Bill Brown’s observation that ‘thingness amounts to a latency […] and an excess’ and Jean-Luc Marion’s argument that the idol ‘consists only in the fact that it can be seen, that one cannot but see it’, I will argue that the very unreadability of the tomb brings it into dialogue with the idols supposedly cleansed from Anglo-Saxon London and the architecture left behind. In the process it will become clear that the idol – held, wherever possible, at chronological or geographic distance – is an object-lesson for those insuppressible subterranean dynamics of history that refuse to stay dead and buried. 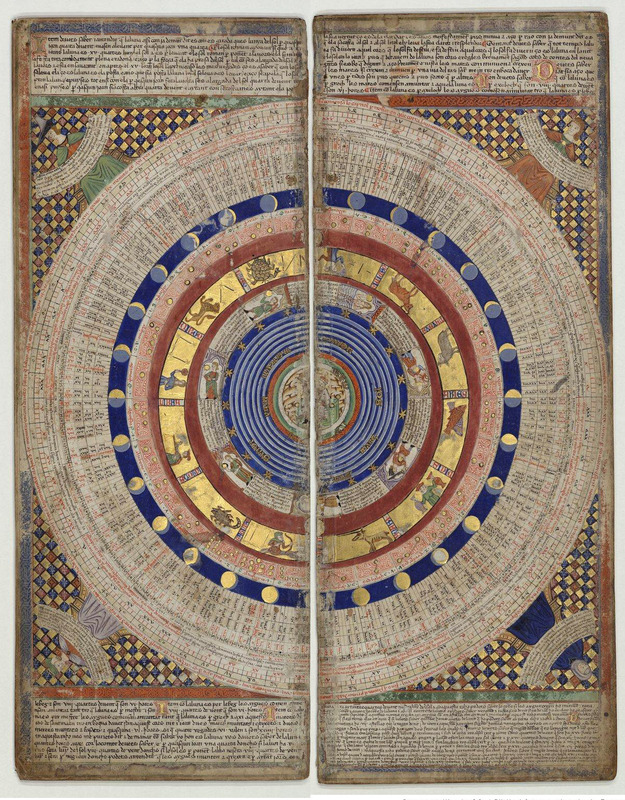 The universal chronicle was a well established form of writing in the Middle Ages, placing human history within a framework of Christian revelation that narrated the past, interpreted the present, and anticipated the Judgement of the future. The majority of these histories were written by monks. Their monopoly on chronicle writing lasted until the late thirteenth century and decisively shaped the form of later secular chronicles as well. However, beginning with those of the early fourteenth century, the majority of late English monastic chronicles exhibit a distinct shift in scope, both temporal and geographical. These works telescope the sphere of action to the history of a specific monastic institution, focusing on the immediate and local, rather than the distant and universal. This paper will examine English monastic foundation histories within the wider contexts of both medieval historiography and monastic writing. It will explore how these late medieval works differ from their predecessors in format and content. It will compare them with contemporary secular histories in order to assess the extent to which they shared a similar concentration on origins and locale. It will seek to illuminate what this shift from universal history to a finite space and time indicates about the concerns of monastic writers at the dusk of the Middle Ages and, perhaps most importantly, what this change in the way history was told tells us about the medieval understanding of history’s role in the creation of identity. This paper will show how the liturgical setting of the thirteenth-century Brabantine mystical poet Hadewijch's visions illustrates the thematic content of the visions, and illuminates her theology of mystical union. This is particularly evident in the visions that occur during the octave of Pentecost, and on feast days associated with the Virgin Mary. Hadewijch's corpus of visions, letters, songs and poems are nearly devoid of biographical detail. One of the only temporal or historical anchors in Hadewijch's corpus is the liturgical context of her fourteen Visioenen. The beginning of each vision describes the feast day on which the vision takes place, and occasionally includes other details about the liturgical service and the circumstances wherein Hadewijch receives the vision. The unique liturgical context informs the imagery and content of each vision, the Scriptural passages cited and the vision's theological message. However, there has been no systematic scholarly overview of the links between the temporal contexts of the visions, and their thematic, Scriptural and theological content. This paper is intended as a first step towards such a project. I will first sketch some of the basic characteristics of the "schedule" of Hadewijch's visionary experiences within the temporal framework of the liturgical year. I will then describe two examples of how the timing of Hadewich's visions influences their theological content. First, Hadewijch's several Pentecost visions indicate the centrality of deification in her mystical theology. Second, the several visions that take place on Marian feast days further show how Hadewijch sees the Virgin as a model for this deifying union. In the fourteenth century, the Dominican convent of Engelthal near Nuremberg became a centre of Christian mysticism in late-medieval Germany. Resident mystics such as Christine Ebner, Adelheid Langmann and Friedrich Sunder produced a large body of mystical literature in the vernacular, mainly in the shape of personal vision reports and other charismatic experiences. This paper will investigate the presence of medieval time concepts in their writing. Addressing a monastic audience, these texts constantly refer to the cyclical time models of the canonical hours and the liturgical year, which structure the everyday life of the convent. These references, however, prove to be more than just temporal adverbials and have a spiritual significance as well. The visions described by the mystics of Engelthal can be highly connected to the date they occur, causing the visionary to relive biblical episodes assigned to the respective day of the church year. The fact that the inhabitants of Engelthal receive such visions in the first place leads to assumptions about the convent’s situation in salvation history. Despite contemporary perils such as the plague or the Avignon Papacy, these mystics seem convinced to live in the best of all times since the fall of men: a time of grace in which ordinary nuns can make direct contact with God, a privilege which used to be reserved for saints and prophets. The ubiquity of the figure of Fortune and her wheel in the culture of the Middle Ages attests to medieval humans’ interest in time and contingency. While poets lamented Fortune’s changes and worried about an uncertain future, philosophers pondered its ramifications for free will and divine foreknowledge. Recent scholarly work on literary responses to contingency in the Middle Ages (Armstrong and Kay, 2011; Attwood, 2007; Heller-Roazen 2003) has drawn out the important formal and philosophical connection between the discussion of Fortune and the use of verse form in medieval literature. My research identifies a hitherto neglected aspect of this verse-Fortune connection: many of these verse works are songs. The interaction between song and contingency in medieval culture has yet to be fully explored, despite its relevance in several major medieval works. The best example, and the focus of my paper, is Boethius’ canonical Consolation of Philosophy. In this prosimetrum work, which mixes songs with prose, a prisoner, lamenting his untimely misfortune in song, is consoled by the arguments and songs of Philosophy. In this paper, I consider the theoretical implications of Boethius’ use of song in a work about time, contingency and necessity. I argue that it is not just a book of songs, but also about song, and that the joint investigation it conducts of both song and contingency illuminates both concepts. Boethius’ work suggests that song – with its ability to appear to manipulate and reorganize time - is uniquely placed to convey and console the human experience of contingency in a temporal world. In a story from Las Cantigas de Santa María, a Muslim woman clutches her child and gazes down from a citadel’s walls, under siege from Christian troops. Seeing the Virgin Mary’s likeness in the woman, and that of Christ in her son, the Christian soldiers pray for her safety. As a result she miraculously glides down a collapsing tower into a meadow, which inspires her and her child’s baptisms. Stories from Las Cantigas de Santa María are illustrated by compositions of six panels, crystallizing each narrative into a selection of scenes. Cantiga 205 does not often receive attention in scholarship on the poems, and this paper argues it deserves closer examination due to its peculiar simultaneous presentation of multiple narratives; the story relies on the soldiers’ history of sight and visual memory to recall the Virgin’s image, filling her absence in the citadel with the presence of the Muslim woman and child. The cantiga provokes new questions in the realms of religious art and visuality, and artistic representations of otherness: because Mary’s image is uniquely absent from the majority of cantiga 205’s illustration, the Muslim woman and child take the place of Mary and Christ in the story, blurring the boundaries between them. The poem, as it regards the Muslim mother and child with both empathy and submission through their rescue and conversion, uses the plurality of narrative to parallel the pluralities of identity and its transformation, both of which are suspended in this use of narrative illustration. Yale Beinecke MS 408, colloquially known as the Voynich manuscript, is largely untouched by modern manuscript scholars. Written in an unreadable cipher or language, and of Italianate origin, but also dated to Rudolphine court circles, the manuscript is often treated as a scholarly pariah. This paper attempts to give the Voynich manuscript context for serious iconographic debate using a case study of Salernian and Pseudo- Apuleian herbals and their stemmae. Treating images of the flattened cities of Sodom and Gommorah from Vatican Chig. F VII 158, BL Sloane 4016, and several other exempla from the Bodleian and beyond, this essays situates the Voynich iconography, both in otherwise unidentified foldouts and in the manuscript’s explicitly plant-based portion, within the tradition of Northern Italian herbals of the 14th-15th centuries, which also had strong alchemical and astrological ties. In anchoring the Voynich images to the dateable and traceable herbal manuscript timeline, this paper attempts to re-situate the manuscript as approachable in a truly scholarly context, and to re-characterise it, no longer as an ahistorical artefact, but as an object rooted in a pictorial tradition tied to a particular place and time. In this paper, I will carry out an interdisciplinary analysis of the fabulous histories and myths contained in the chronicle written by the civic notary Giovanni Codagnello of Piacenza (d.1235). Through a philological analysis of the myths, I will argue that Codagnello consciously re-elaborated works by authors such as Isidore of Seville, Paul the Deacon, and others, fitting them to his own purpose: to convince his fellow citizens that the civil war which broke out in his city in the 1220s and 30s was not only disruptive, but also went against a tradition of civic unity and alliance with the city of Milan which originated in times unmemorable. Indeed, a consequence of the civil war was the interruption of the century-long alliance with ‘anti-imperial’ Milan and the passage to the enemy front, led by the ‘pro-imperial’ Cremona, a former arch-enemy of Piacenza. Thus, together with re-assessing these myths (which with few exceptions, have been largely overlooked or misunderstood by historians of communal-age literature and history) and placing them within a precise historical context, I will argue that in communal-age Italy chronicles and fabulous histories could have a high political importance. Indeed, through the analysis of contemporary literature, archival documents, and meta-textual mentions to orality present in the chronicle, I will briefly show that historical texts such as these could be read in civic assemblies – the core of political life in contemporary communes – or anyway incorporated into political orations, thus playing an important role when it came to take decisions of political nature. For many Anglo-Saxon religious women, their lives were bookended by visions, and these visions were used as a mark of their sanctity and a justification of their authority. Often, these visions were female-identified, being associated with the mother of the saint-to-be, or a fellow nun in her foundation. The seventh century abbess of Whitby, Hild, is one such example; beginning with the vision of her mother, Breguswith, while she was pregnant with the future abbess, and ending with the vision of her death experienced by the nun Begu, the life of Hild was described by Bede as ‘noble’. The fact that it was bookended by these visions is significant. Particularly for monastic women whose lives were often not marked by the typical ‘life cycle’ events of marriage and childbirth, such visions played an important part in their stories and were a focus of their Lives. Looking particularly at the examples of Hild and the eighth century evangelist Leoba, this paper will ask how visions played a role in the life cycles and afterlives of women religious in the early medieval period. Can these visions be understood as part of the life cycle for a holy woman, and if so, do they allow that life to extend past death and into the life of the cult? I will also explore whether this was a particularly feminine form of expression of sanctity. Scholars have been wary of the vocabulary associated with the gradus aetatis (stages of age). We know that early medieval writers might use infantia, pueritia, adolescentia, juventus, and related terms without precision, as almost interchangeable when referring to early life. However, Alcuin of York (c. 740–804) gives us another impression. In his educational works and letters, Alcuin differentiates between these terms with a discernible degree of precision. Not only this, he appears to associate them with particular stages of educational development. Alcuin observes an important difference between adolescentia and juventus, terms that historians have too often equated. Adolescentia itself is a misunderstood term, and its significance as a preparatory stage has been underappreciated. What part was adolescentia expected to play in the student life cycle? Did it have a specific duration, and if so, was this to be wholly devoted to a certain type of education? Our definition for this term requires better contextualization if we are to understand this crucial stage in the student life cycle. This will have a significant effect on how we reconstruct the early careers of figures like Hraban Maur, the famous pupil of Alcuin, and Lupus of Ferrières, the pupil of Hraban. The Icelandic insular romance genre is critically overlooked for its often-noted formulaic and derivative nature. Yet the construction of these stories shows a surprising consciousness of their repetitiveness, and an ability to manipulate that very feature for narrative effect. The literature presents events that heavy-handedly echo or outright copy previous episodes in the saga. Yet by making links across time within the story, the texts ask readers not only to recognise the similarities, but engage with the differences. In Ála Flekks saga, a hero is repeatedly the victim of troll curses, each time marking a new phase in the narrative, until by the final episode the characters have learnt enough to limit the damage. In Flores saga ok sona hans, a social scenario - a suitor whose potential match has a reluctant father - appears across two generations, but the second time offers a chance to do it right, while in Mírmanns saga, repeated formulaic battles highlight its protagonist’s decline from hero to villain. And one of the earliest riddarasögur, Klári saga, exaggerates the repetitiveness of its protagonist’s quest to obtain his bride through a series of events in which time does little but repeat, a set-up for the vast change that lies in the future. This paper aims to explore such instances of temporal repetition, and suggest how a formulaic genre can derive meaning from writers’ and readers’ awareness of how, time and again, that repetitiveness works.